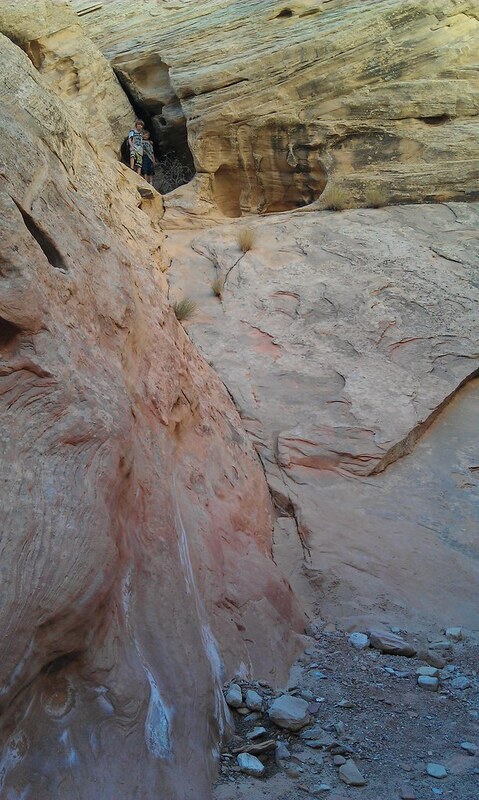 This is our second time up this canyon and it was enjoyed more by everyone this time than the first I think. 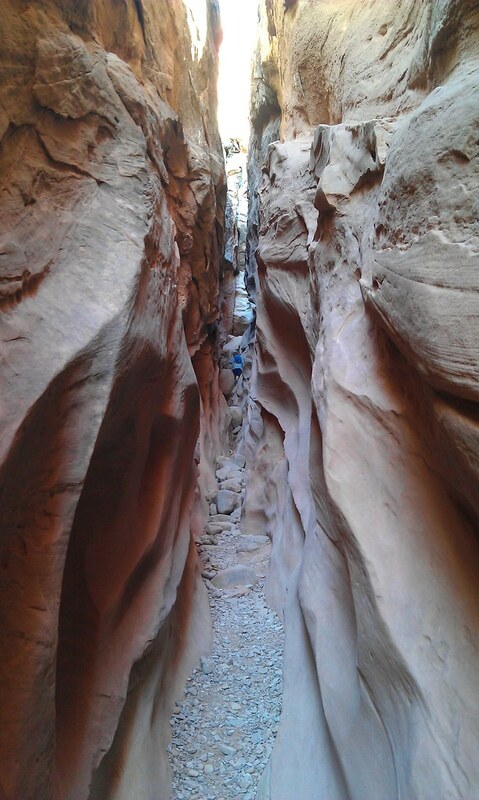 This is a very popular slot canyon in the San Rafael Swell near Goblin Valley State Park. 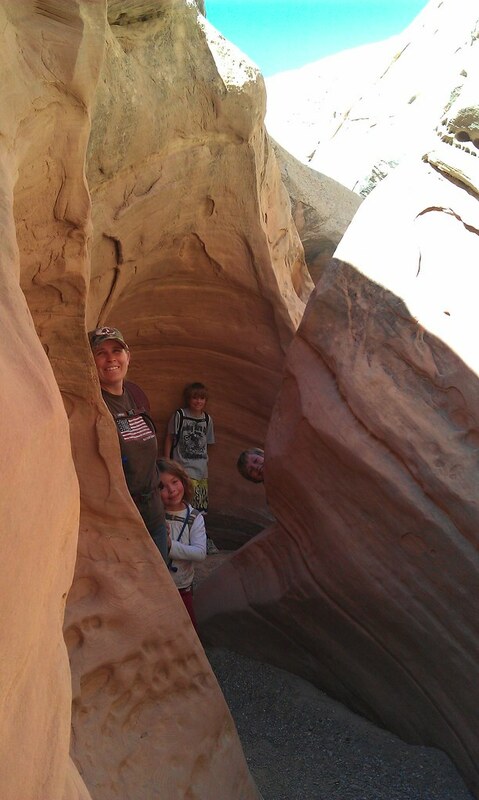 This time we focused just on the best part of the hike instead of completing the entire loop which seemed to be way too long for all of us. 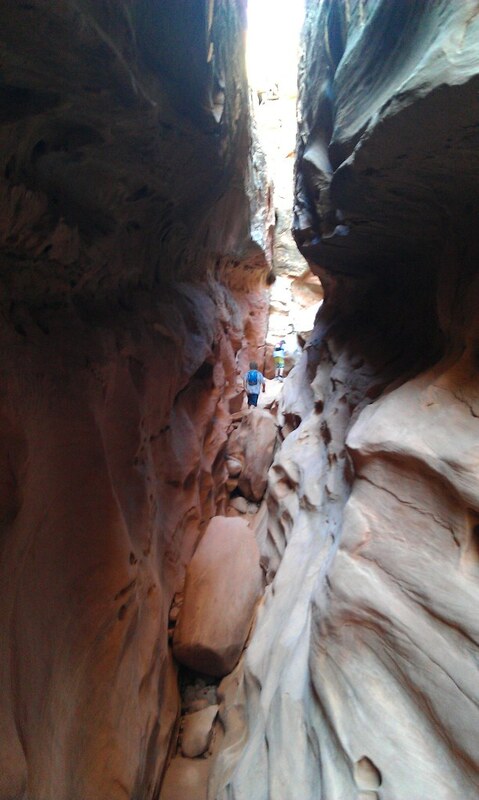 We started at the bottom and turned back just after the tight slot ended. 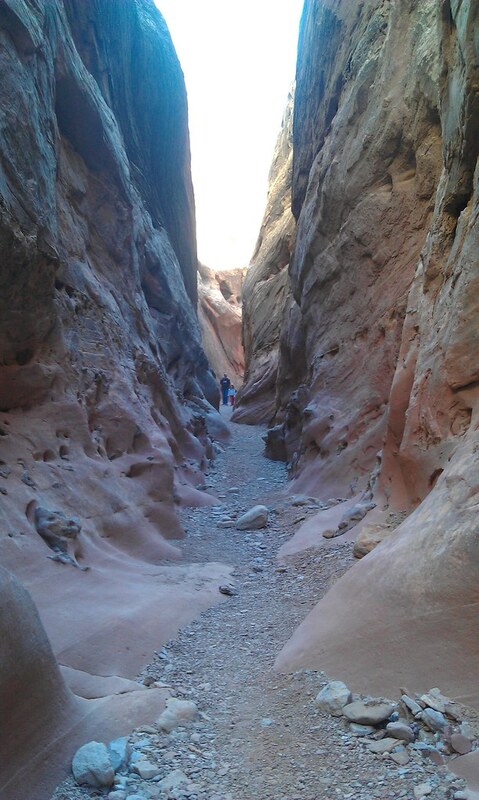 It's best to do this hike on a non popular weekend as it will likely be crowded. 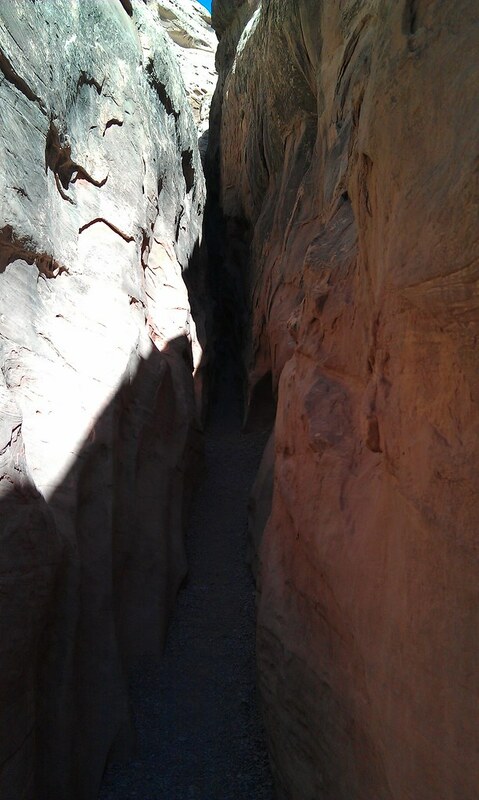 Click here for directions to the trail head along gps waypoints, map, and more pics from our last trip. 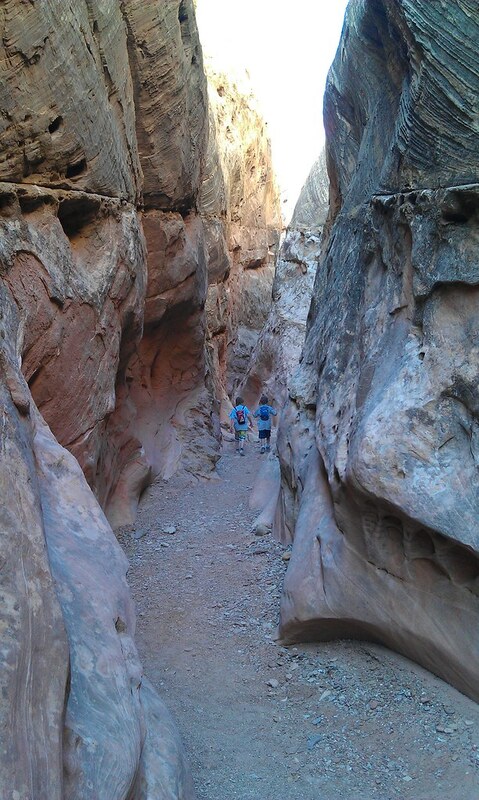 This hike is relatively easy with mostly flat ground to walk on making it accessible to many hikers. 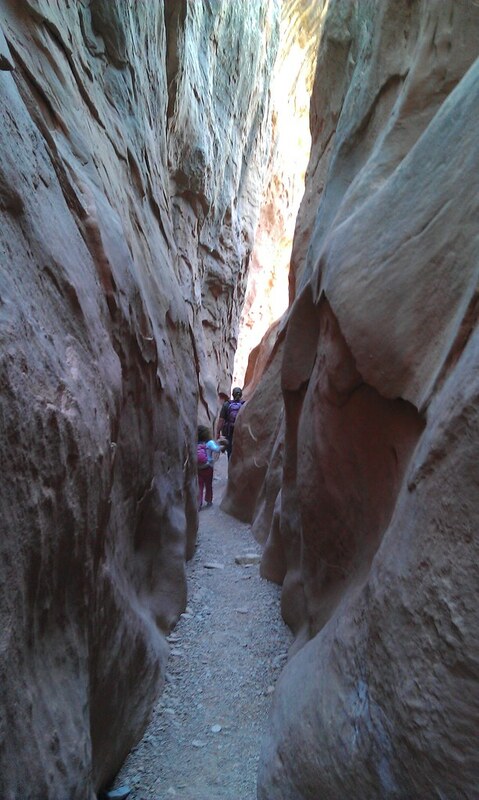 There is a difficult boulder crawl early on, but this can be bypassed by hiking high to the left. 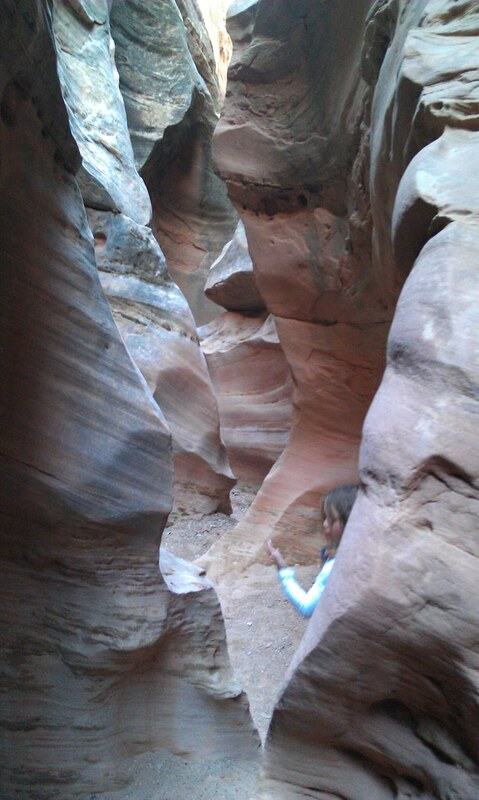 Once the slot is reached, you mainly just wander back and forth through the winding sandstone slot canyon. 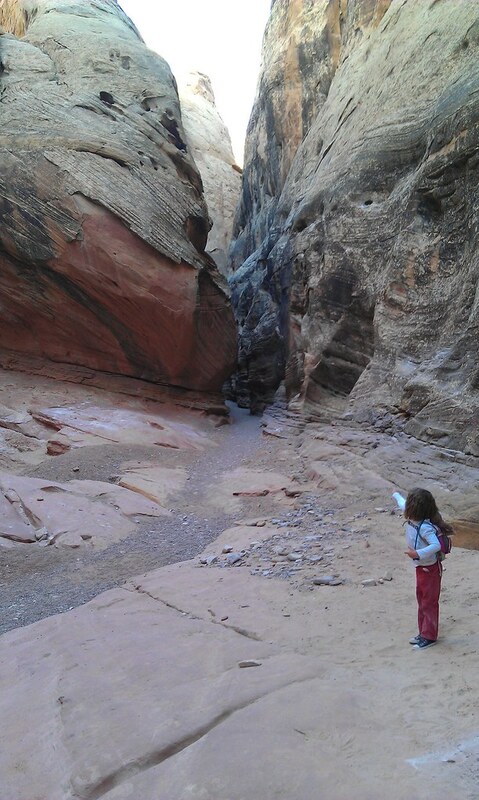 It's always cool in the canyon it seems, and there is normally not water since it drains quickly. 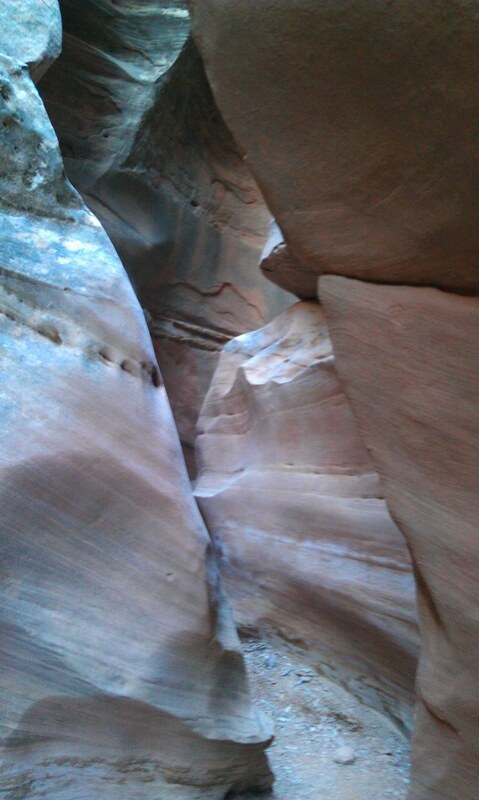 Do not hike this canyon if rain is in the forecast however, it can fill up quickly and flash flood danger is real here. 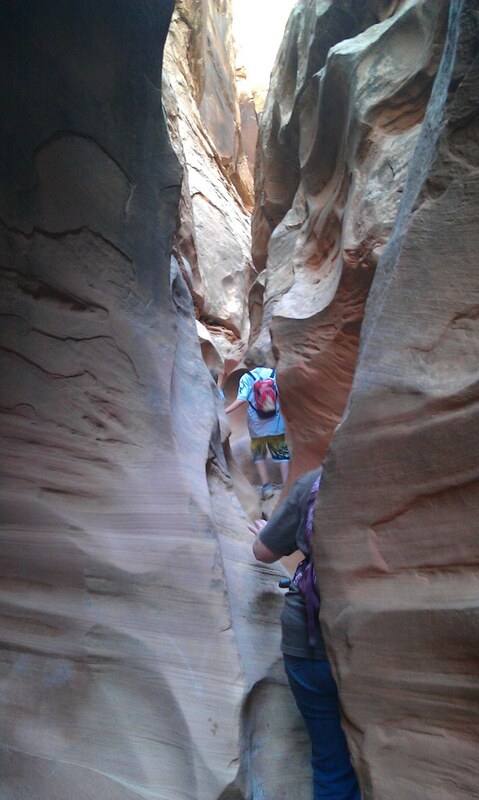 Here are some pics from our hike, enjoy! 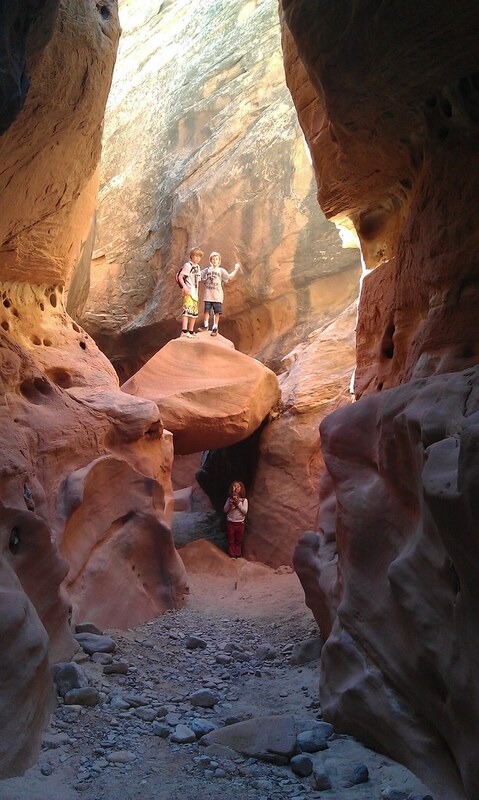 Looks like it was a fun trip, some nice pics there. Have you guys every tried geocaching? If not, it sounds like it might be something you'd be interested in. Take a look.